In belated response to an American intelligence report that concluded RT and Sputnik tried to influence the 2016 election, Twitter announced on Thursday that it is removing all advertising from accounts owned by the Russian state-sponsored news outlets. The company also promised to donate $1.9 million to help fund outside research into how the platform can be used during elections, an amount representing Twitter’s projected earnings from RT’s ads since 2011. In a followup story detailing RT’s advertising negotiations with Twitter last year, the news outlet denied engaging in any illegal activity or trying to interfere with the election. Ultimately, RT says, it “did not accept the exclusive offer of Twitter, primarily because of too high a price, much higher than the budgets allocated by the channel for promotion in social networks.” When we asked Twitter whether it initiated the election ad conversations with RT, or if RT reached out for more information, the company declined to comment. Twitter is trying, albeit belatedly, to be more transparent. Last month, the company released a report revealing that of 450 Facebook accounts linked to Russian propaganda efforts, 22 had accounts on Twitter. In addition, the company disclosed information pertaining to RT’s advertising on the platform. According to Twitter’s findings, RT spent about $274,100 on US-based ads in 2016 and promoted 1,823 tweets across three of its accounts that “definitely or potentially targeted the U.S. market.” And on Tuesday, Twitter announced new ad rules, stating that it will disclose more information surrounding campaigns, including total cost and who purchased them. The company also pledged to more clearly label political ads. 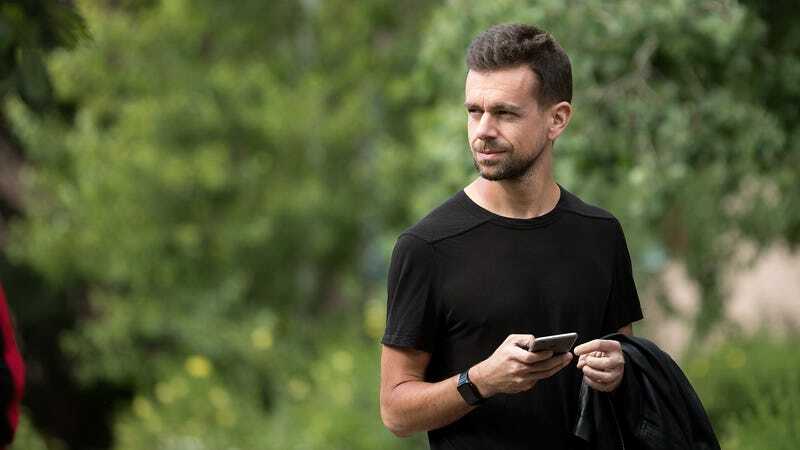 Twitter is seemingly all about that sweet transparency right now—it’s too bad it took intense public scrutiny to drive the service to begin acting with a sense of urgency. Correction Oct 30: RT editor-in-chief Margarita Simonyan tweeted slides from Twitter’s pitch deck shortly before Twitter’s announcement, not after.